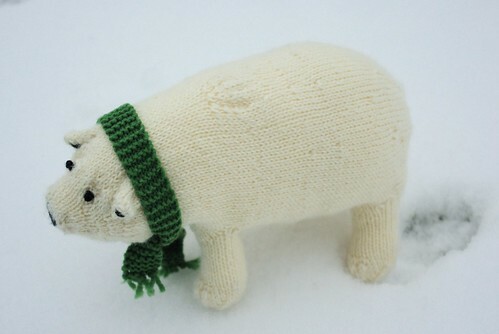 I'm pretty sure I've mentioned here before that I learned to knit from a teddy bear kit in 2005 and many of the first things I made were another bear, an elephant, and a flying pig. Though I moved on from my initial focus on knitting softies, stuffed animals are still knitting comfort food to me. While my usual excuse for knitting an animal is an impending birth, Bradac is just for me. 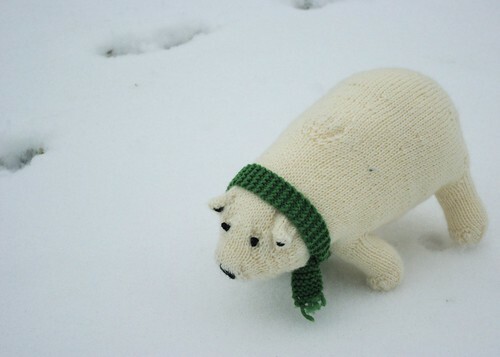 I got the notion in my head to knit a Polar Bear and I went to Purl Diva in search of some yarn. 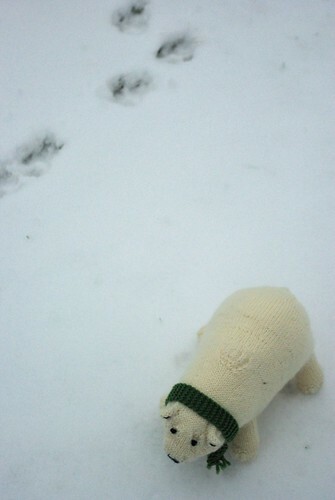 I wanted a slightly off-white, superwash wool and the Lambs Pride worsted from Brown Sheep fit the bill perfectly. Named for a college roommate who's fond of the creatures, Bradac is knit seamlessly in the round from nose to tail. Most details, like the ears, are worked in short rows, while the legs are knit with scrap yarn and then picked up and worked in a similar fashion to an afterthought thumb or heel. 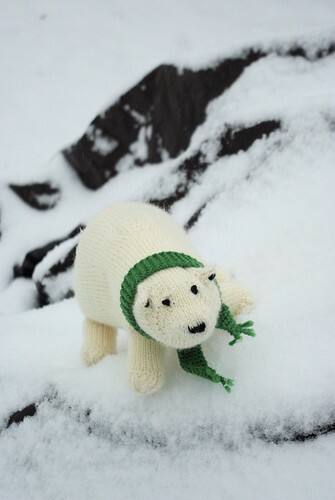 The bear is stuffed as you go and measures approximately 12 inches from nose to tail and takes 200 yards of worsted weight yarn, plus some additional contrast yarn for the face and scarf. To find out about pattern releases and sales right as they happen, sign up for the mailing list or follow me on Twitter. 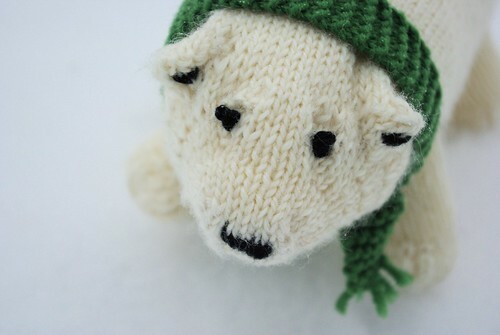 Sign up for the mailing list by Dec 15th and get access to an exclusive free pattern.